Ralph Charles Marshall Sr., 82, passed away Tuesday at Betsy Johnson Memorial Hospital. He is the son of the late John and Lazella Brenneman Marshall, and was married to the late, Lucille Myers Marshall. Mr. Marshall was a member of the Erwin First Baptist Church. He was a Vietnam veteran serving in the United States Navy and the United States Air Force for a combined 26 years. A graveside funeral service will be held on Sunday at 2:00 P.M. at Wayne Memorial Park. The family will receive friends on Saturday evening from 7:00 until 9:00 at Shumate-Faulk Funeral Home. 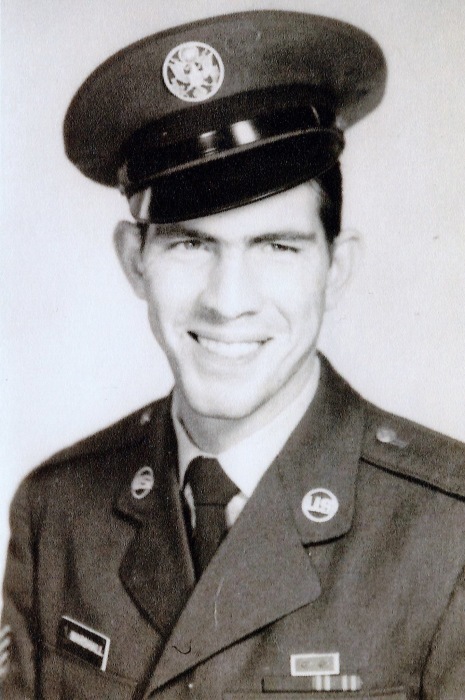 Ralph is survived by his children, Mike Marshall and wife, Madonna Mahoney of San Antonio, TX, Charles Marshall Jr. of Goldsboro, Terry Sims and husband, David of Cibolo, TX, Sandra Van Wormer and husband, Robert of Dudley, Andrew Strickland of Oklahoma City, OK, Offie L. Strickland, and wife, Sarah of North Charleston, SC; a brother, John Marshall of Rostraver Township, PA; a sister, Barb Matlock and husband, Jack of West Newton, PA; 11 grandchildren; and 11 great grandchildren. In lieu of flowers, donations may be made to the American Cancer Society, P.O. Box 22478, Oklahoma City, OK 73123.